Welcome Thirsty Thursday with open arms and a round of deliciously colorful cocktails: The Champagnarita! It’s National Margarita Day with a twist! Dress up your favorite margarita in sparkles by adding a little bubbly to the glass. This is the ultimate girl’s night out drink – it’s a little sweet, a little sour, and a lot of delicious. Not to mention, it makes for a great selfie! BYOB to your next Painting with a Twist class and make a pitcher of Delish’s Champagnaritas. For an even more colorful take on this cocktail, think pink with this dazzling and darling recipe. 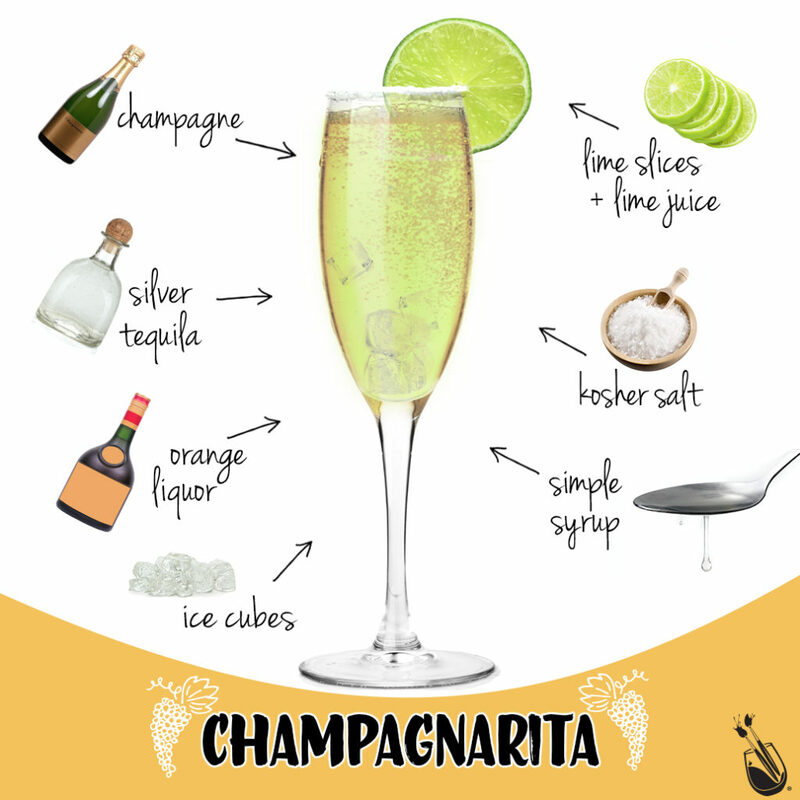 You can also find a rainbow of other Champagnaritas here so there is something for everyone! 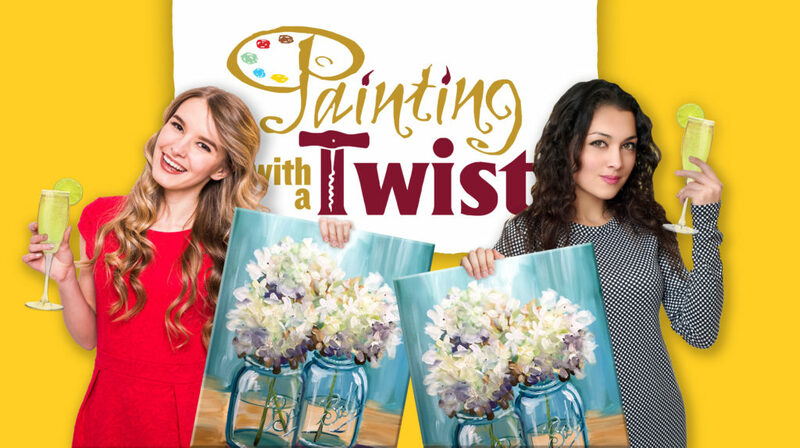 Head over to your local Painting with a Twist studio and pick up a brush and a glass to celebrate! Pour Kosher Salt into a shallow dish. Wipe glass with a lime wedge and dip the rim into the kosher salt. Pour silver tequila, orange liquor, simple syrup, and ice into a shaker and stir.